Franken's resignation was first reported by CNN shortly before Franken's speech. On Wednesday evening, Minnesota Public Radio said that Franken would resign, but Franken denied this at the time. Notably, Franken did not issue any apologies to any of his accusers during his speech, and implied that many of them were lying. He did not provide a timeline for his resignation, saying only "weeks." His replacement will be appointed by Minnesota Gov. Mark Dayton and will serve until 2018. On Twitter, Franken received heavy criticism for his remarkably non-contrite resignation speech. That was some speech by Franken. I've seen people more contrite sending back a plate of cold pasta. This may be the least contrite resigning in disgrace speech ever. 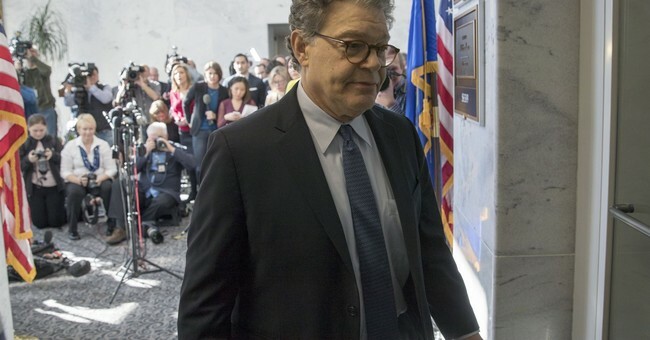 Franken's resignation came after eight women accused him of sexual misconduct over the past decade. On Wednesday, dozens of Franken's Senate colleagues called for him to resign after another accuser came forward. After the first wave of Senators called for Franken's resignation, his office made an announcement saying that the senator would make an "announcement" on Thursday. Franken was first elected to the Senate in 2008. This piece has been updated and will be updated.